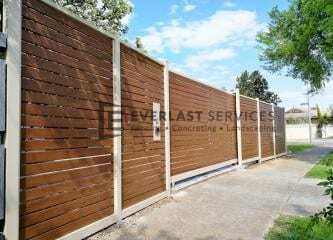 Here at Everlast Services (formerly known as Everlast Fencing), we are more than happy to assist with any type of project, whether it’s fencing for a large-scale industrial property, or a small, simple residential front fence. No job is too big, or too small for our expert team. 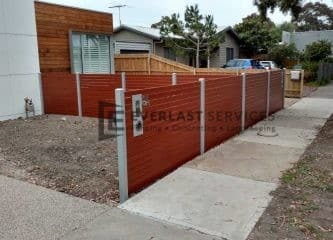 This recently completed project involved the manufacture, construction and installation of steel picket fencing at a home in Point Cook. The client really wanted a low maintenance fencing product that would look great and really improve the overall aesthetics of the property. Everlast Services was only too happy to help. We recommended the use of steel picket fencing due to its very low maintenance requirements. 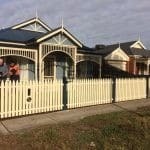 Unlike wooden picket fences, steel does not require annual paint touch-ups, and it does not rot in the rain, bow in the wind, or suffer from colours fading in the harsh Aussie sun. We were able to match the paint colours our client had used in the woodwork on their existing property, including a brilliant cream, offset by a sharp-looking steely blue. 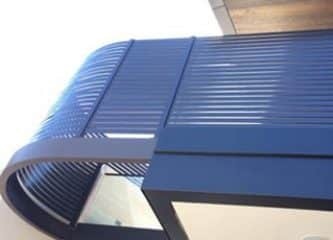 The end result was one that delighted our client. 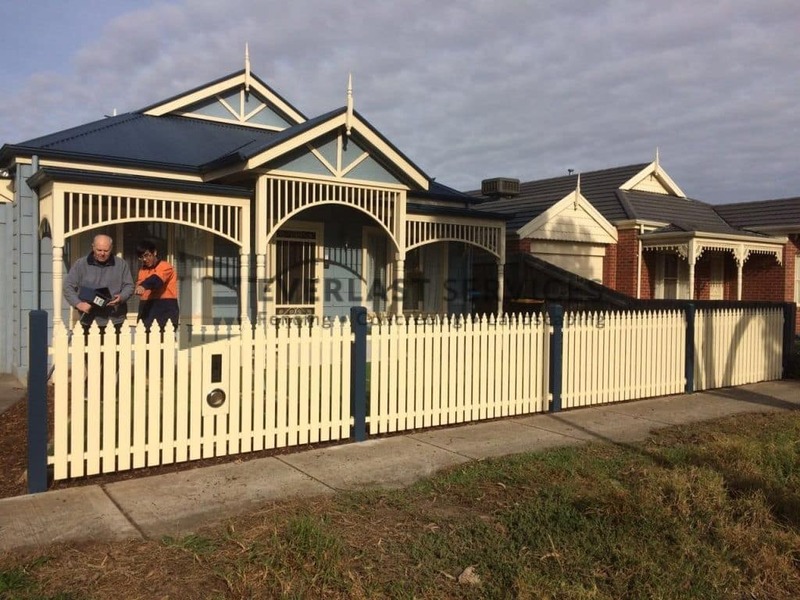 Not only does the new steel picket fencing keep their home safe and secure (and provide a spot for the mailbox), it also improved the overall look and feel of their home, thereby increasing its value.